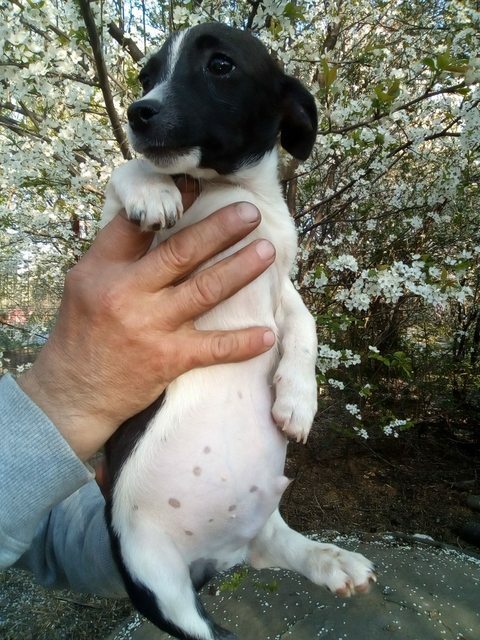 Brodie is a 3 month old mixed breed puppy who will remain small sized. 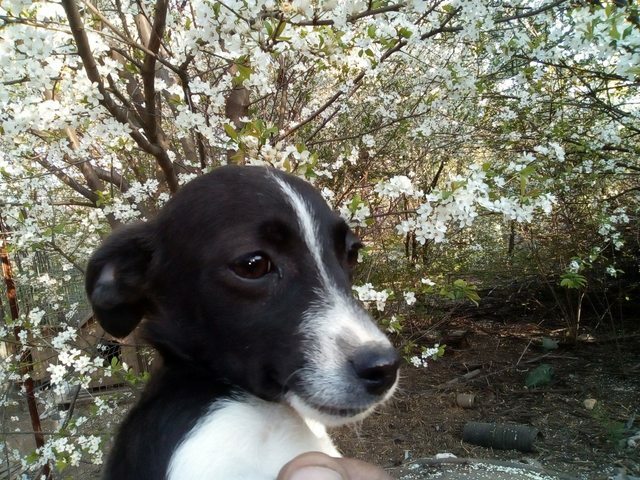 He is in Romania until he has a home to go to. 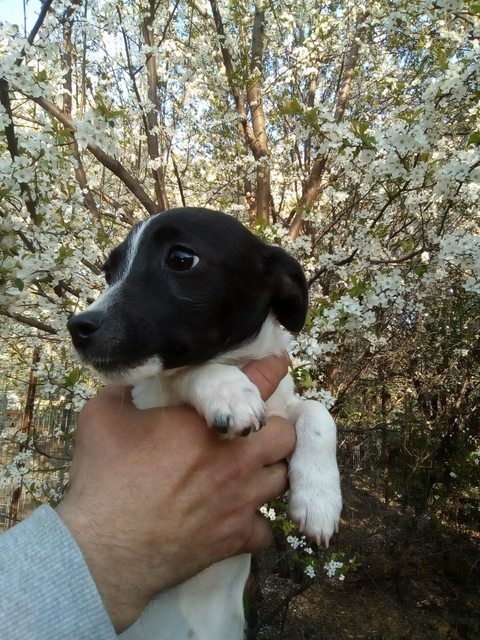 Brodie and his siblings are now in the safe hands of our rescuer who is a mobile vet, so she will make sure he is kept healthy until he finds his forever home. Brodie can travel in early May when he is 16 weeks old. He will be small as adult – 8-9kg maximum. Brodie is just a small lad and won’t take up much space on your sofa but will take up a lot of space in your heart. Please help him find his golden basket by sharing his album. Brodie will need a lot of socialisation with as many adults, children, dogs (puppies and adults), and other animals as possible. He needs to become used to a wide range of events, environments and situations. As he is a puppy, with careful introductions he will probably be okay with children and cats. As with any puppy he will need to be house trained and lead trained. Brodie is too young to be neutered, but this needs to be done as part of our adoption contract. He will be vaccinated and microchipped. Homecheck and adoption fees apply. If you feel you are the right home for this gorgeous puppy please contact us.